Market Design: French court suspends burkini ban: repugnant or protected (or both)? French court suspends burkini ban: repugnant or protected (or both)? "France’s highest administrative court has suspended a ban on the body-covering burkini swimsuits, saying that it went “against fundamental liberties” of French citizens to choose what to wear in public. "The Conseil d’Etat said on Friday the ban in the Mediterranean town of Villeneuve-Loubet was “illegal”, adding that the ruling set a precedent that applied to all of the towns that have banned the garment this summer. "The debate over the burkini has split France’s government and society. 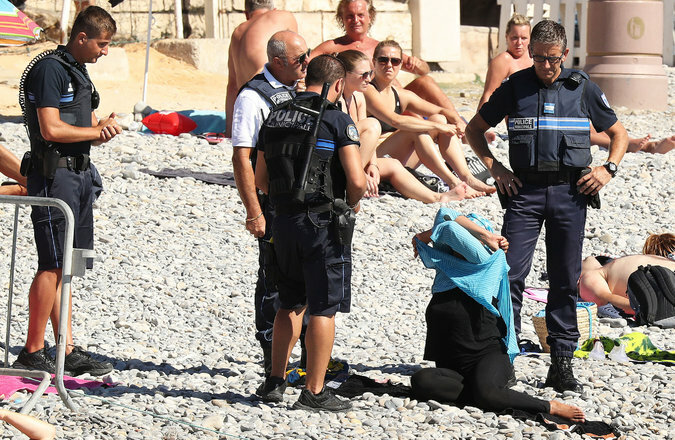 It has also drawn anger abroad after images showed French police appearing to force a Muslim woman to take off her tunic on a beach. "Debates over Muslim integration in France have been tense following a series of terrorist attacks in the country by Islamist extremists. The discourse over the issue has been particularly polemical as politicians are gearing up for the presidential elections next year. "Socialist prime minister Manuel Valls came out in support of the local burkini bans earlier this month, saying the swimsuit, which typically covers the body but not the face, reflects a world view based on “the enslavement of women”. 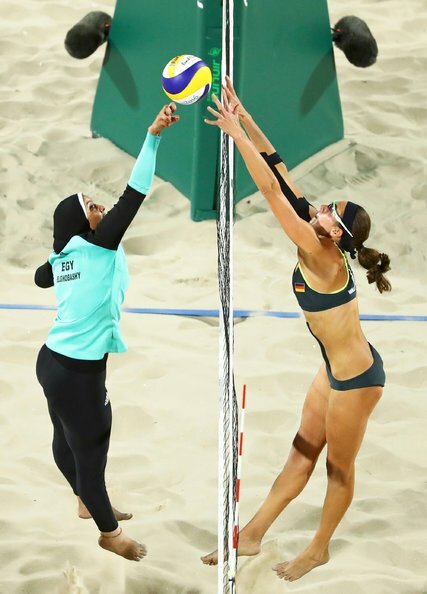 "The court on Friday said the decree to ban burkinis in Villeneuve-Loubet “seriously, and clearly illegally, breached the fundamental freedoms to come and go, the freedom of beliefs and individual freedom”. "The suspension of the ban comes pending a definitive ruling. The court will take more time to prepare a judgment on the underlying legality of the case." Some other photos from recent news stories come to mind. And here's one recovered from the archives, of a policeman giving a bikini-clad woman a ticket for inappropriate beach attire in Italy in 1957.